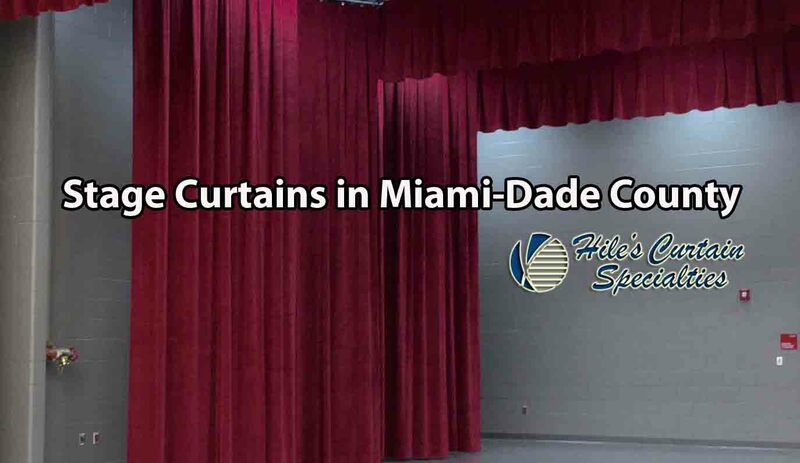 Stage Curtains in Miami-Dade County – For over 4 decades – Hile’s Curtain Specialties combines the very best stage curtains with outstanding customer service. No two stages are alike. And not all stage curtains are made the same. At Hile’s, we offer a wide assortment of premium fabrics at various opacity level and weights, as well as fabrics designed to meet a variety of acoustical needs. 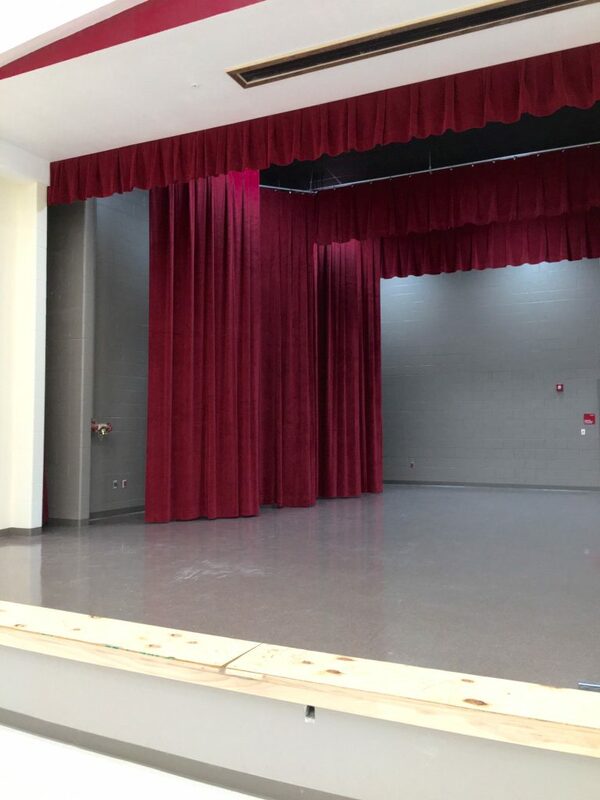 Hile’s provides quality stage curtains in Miami-Dade County area including: Front Curtains, Main Valance, Grande Drape, Masking Curtains, Tormentors, Tabs, Vertical Masking, Cyc and more. Hiles Curtain Specialties is your source for quality custom manufactured stage curtains in Florida. For nearly 5 decades, Hile’s Curtain Specialties has been designing, manufacturing and installing stage curtains of every type in a wide variety of applications. Plus. all of our curtains are made in-house in our 9500 st ft facility, so custom sizes or last minute alterations are no problem. Hile’s Curtain Specialties can custom fabricate stage curtains for the smallest elementary school to the largest outdoor arena. Let us get your rigging working for you! 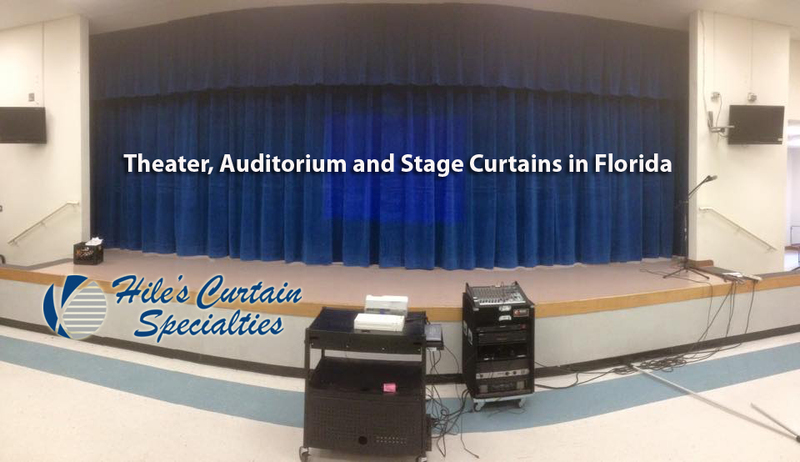 Hile’s Curtain Specialties is the leading theatrical and stage curtain manufacturer and installers in Florida. We have over 45 years of experiences fabrication and installing curtains into a wide variety of applications. We focus on providing outstanding customer service. We will work with you to understand the many options of fabric, design and installation that are available. From our modest beginning in Tampa as Central Florida’s first stage curtain manufacturing company almost 50 years ago, to one of the largest stage curtain manufacturing plants in the southeast US, serving stages and venues throughout Florida, Georgia and Alabama. And we’ve accomplished this by giving our valued clients the best customer service in the industry. From Start to Finish – It’s Hile’s.